We just saw you on the cover of the Citizen K Homme magazine, congratulations! How was that experience of being featured? The Citizen K experience was really exciting and I was honored to be asked to take part. I’ve always felt that the magazine has a great understanding of the lifestyle and, as I believe that this is equally the case for us at Fursan, it was great to team up with them for the article. What is your background in the fashion industry? When did you realize you really had an affinity for it? 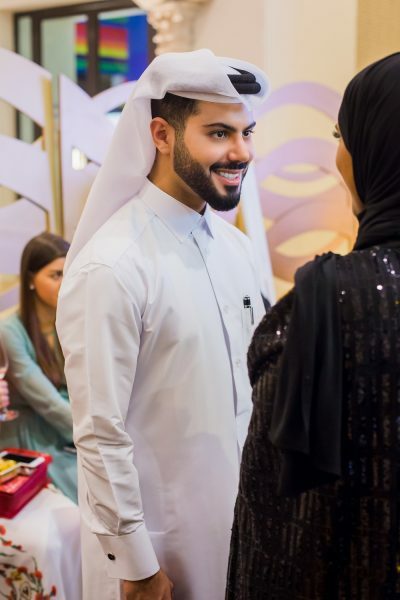 I’ve always had an interest in style and in fashion – I love to move around Qatar, seeing how people are dressed, how they accessorize their outfits and how they express their own unique style. My background – in particular, my education, is in engineering and sustainability, rather than fashion but I found that I could combine the practical elements of my education with my love of style to create my handbags for my brand. I admire a great many designers for many reasons. I’ve always loved the timeless elegance of Chanel’s creations but, equally, I love Gucci quirky and fun styling, I also admire the simplicity and sophistication of Tom Ford’s styles. Throughout the world there are many different people with many different personal styles so, it goes without saying that we need a great many designers – as far as I’m concerned, there’s enough room for everyone and I see other designers as friends rather than competitors. Is there a Fursan muse? A million of them! I’m influenced constantly by stylish and innovative women from around the world and I think my styles take a little bit from each of them. Do you think there are differences between designing for the Western(European/American) and Middle East market? If so, what are these differences in style? Although there are many similarities in styles, I find that Western women tend to prefer simpler, more understated styling whereas Middle Eastern women favour more opulent styling in richer colours and textures. Middle eastern women have royal tastes; statement jewellery, iconic handbags, capes and long hems and trails. And obviously, global brands have picked up on that well by introducing designs and styles which attract the middle eastern women with great style and taste. Do you think you are influenced by the Qatar’s cultural legacy and local tradition or more by Western influences? Although I do have some Western influences, my culture is very close to my heart and influences much of my work, in particular my range of Dazzah handbags which are based on the embayyat which is a traditional embellished trunk which is gifted to a bride by her groom as a symbol of prosperity. I very much enjoy combining Western and Middle Eastern influences in my designs to create a unique styling fusion. The Dazzah collection was just the start, I want it to introduce something new to the fashion world, something that was not previously addressed in fashion world. Fashion is art and, art must have history and a story behind it. This will be the base of my all collections. I don’t want to burn the surprise, everything should come at the right time but, Fursan will not be limited to local culture inspirations, we have the world! What is your personal perception of how Arab women understand luxury? You only have to look at Middle Eastern cities such as Doha and Dubai to see that luxury is very important to people in the Middle East. 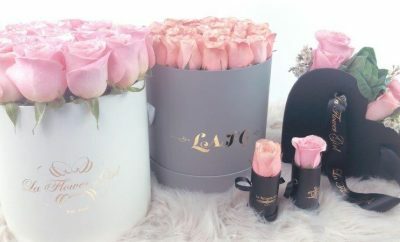 I think that Arab women, in particular, understand – and do – luxury very well as, to Middle Eastern women, luxury means quality and uniqne and that’s something which is, and should be, very important. Do you think of a certain type of woman when you design? Who is the Fursan woman? In my mind, the Fursan woman is a lady who is successful, stylish and has a vibrant personality. As a busy woman, she needs a bag which not only looks fabulous but is also practical and sturdy enough to carry all of the personal and professional items that she will need throughout her day. How does Fursan speak to the Middle Eastern woman? Fursan reassures the Middle Eastern woman that she doesn’t have to choose between practicality and style – after all, shouldn’t she have it all? What are some of the defining characteristics of your handbags that make them stand out? I think our unique designs as well as exotic materials such as lizard python and ostrich skins mean that our bags will never go un-noticed. A great handbag should turn heads as well as being a mobile office and beauty parlor! Do you have a favorite bag from your collection? I think for me, each new bag is a favorite for a while but is then replaced in my affections by the next one. I do have a great affection for the Dazzah range though. Ah, so many plans! I don’t want to say too much at the moment but I do have more than a few irons in the fire, including possible expansion to other cities.